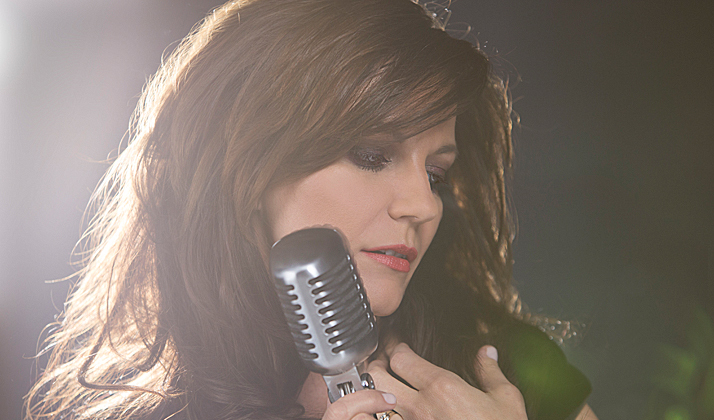 Country singer Martina McBride has a career that stretches all the way back to the ‘90s when she made her debut with The Time Has Come. Since then, McBride has won countless awards and sold millions of albums. Earlier this year, she released Everlasting, testing her vocal limit by covering songs such as Sam Cooke’s “Bring It On Home to Me” and Van Morrison’s “Wild Night.” For the subsequent tour, which started earlier this fall, she’s put together an 11-piece band — including trumpet, tenor sax, baritone sax, trombone and a trio of backup singers. She recently phoned to talk about her approach on the album. Talk about what inspired Everlasting. I did this record called Timeless a few years ago which was a collection of traditional country records. I love singing my own songs but cover material is fun as well. I wanted to do that again. I just decided to take a different approach and do iconic soul and R&B songs, a lot of which are familiar to my fans and have been country hits as well. Your vocal performance on “Suspicious Minds” is great. Was it difficult to pull off? Yeah, it’s a tough one. It’s one of the harder ones that we do, definitely. I always wanted to sing that song. I love the bridge and how dramatic it is. It’s a lot fun to do live. “Bring it Home to Me” is a great blues ballad. What was it like singing with Gavin DeGraw? It was great. He’s a great singer first of all. He has great ideas in the studio. We’ve known each other for a few years. He was perfect for that duet. We got to sing it together in the studio as well. Sometimes, people record things separately and then put them together. But we worked on it together and divided up the parts. I haven’t heard it done as a duet much. Figuring out the structure of it was a lot of fun. What role did producer Don Was play? He’s a major part of it. He’s so musical and has done so many great records. He’s very laid back in the studio but he knows what it takes to make a great record. It was a joyful experience. Did some songs not make the cut? We recorded a Bonnie Raitt song that didn’t make the record. “Rescue Me” also didn’t make it. “Rescue Me” just sounded like the original. We wanted to pay respect to the original but you can’t make a karaoke record. You have to bring something new to it. And I love that song. The Bonnie Raitt song was “I Will Not Be Broken.” It’s an amazing song. Sometimes, if you record in bits and pieces, when you listen to them back-to-back there is one that doesn’t fit time-period-wise. It was more modern sounding, but I love Bonnie and I love that song. And talk about singing with Kelly Clarkson. I love the fact that your performance on “In the Basement” has such swagger. She’s an amazing singer and she raises the bar. She came in the studio and sang with me on that. I love the original recording and it has a lot of sass. She’s sassy. I hope we get to sing it live at some point. How challenging was it to put this band together? We have a four-piece horn section and three amazing background singers as well as bass, guitar, drums and keys. I wanted the show to be visually entertaining as well as musical. I did a throwback thing. Everyone is in coordinating outfits. The horns are doing their horn movies. The girls are doing their backup singer moves. Everyone is having so much fun on stage that it’s really contagious. It’s a party. Talk about the early part of your career. What was it like to start performing at such an early age? I didn’t know anything different. I sang from the time I was four or five years old. I knew this is what I wanted to do and what I loved to do. It was great to start at an early age. I didn’t have to think about what I wanted to do with my life; it was always there. Yes, after high school I sang with a rock band. We did Heart and Journey and Pat Benatar and whatever was popular on the radio in the ’80s at the time. I went on to sing with a cover band that did Whitney Houston, Aretha Franklin and pop and R&B stuff. I came back to singing country and moved to Nashville. How important was it that you sang something other than country? I think it was important for me personally to have experience in different genres. I am a country artist but at the end of the day I’m a vocalist and I love all kinds of music. It gave me a good background. What was it like trying to fit into the Nashville scene? We didn’t know anybody when we moved here. When you’re really young—I was 24 or 25 when I moved to Nashville—you have a “go for it: mentality and you don’t know your limitations. We didn’t know the culture and we didn’t know how the music business worked. We didn’t have any expectations. The community here is amazing. It can be really inclusive. I think it can be intimidating but at the end of the day, everybody was really nice. Your first album wasn’t a huge hit. Were you frustrated? I probably was frustrated. I was happy to have the chance to go back in the studio and work on finding a sound and different kind of approach that did work. One review of the current tour said you are a “fearless” vocalist. Is that accurate? I think so. With some of the songs that I sing I feel you have to just go for it. Not hitting those notes is not an option in front of everybody . . . not that I hit them all the time. But you have to go for it. Talk a bit about your book, Around the Table. I love to cook and entertain at home and have people over. I wanted to make that easy and less intimidating and inspire people to have cocktail parties in their own homes. It has tips and ideas and recipes. I’m really proud of it. How do you have the time to do that kind of thing? You have to make the time. It’s not like I do it every week. I probably entertain four or five times a year. You have to make it a priority. For me, it’s a creative thing too. It‘s fun for me to sit down and plan how a party is going to go and how’s going to look and how it’s going to feel and how it’s going to flow.